1) Please check the RELEASE DATE for any item you ordered. On our home page (www.twomorrows.com), scroll down to the “Upcoming Products” section and you’ll see all the items that haven’t been published yet, and the expected shipping date for them. You may have missed seeing that date when you pre-ordered the item. 3) Any orders placed between Dec. 19-Jan. 6 will be filled the week of January 9, 2012. Again, your choice of shipping speed will determine how soon you actually get it in the mail. 4) While we’re closed, you can still order DIGITAL EDITIONS and get an IMMEDIATE download after you checkout online, providing the item is in-stock. I hope you all have a safe and happy Christmas, Kwanzaa, Hanukah, Festivus, or whatever other celebration you partake in this time of year. And let’s all look forward to 2012. TwoMorrows: It’s a new day for comics (and LEGO) fandom! This entry was posted in TNT on 18 December 2011 by Mr. Morrow. Back Issue #54 is on press now, and will be shipping January 18, 2012. 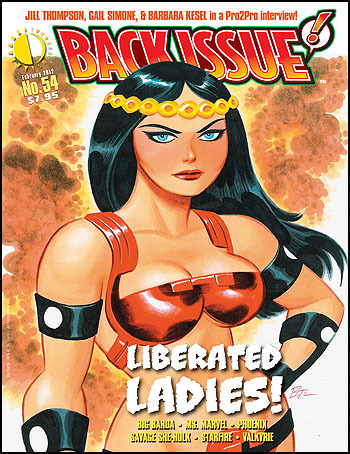 The theme is “Liberated Ladies”, and spotlights Big Barda, Valkyrie, Ms. Marvel, Phoenix, Savage She-Hulk, and Starfire (the one with the sword, not the Teen Titan). 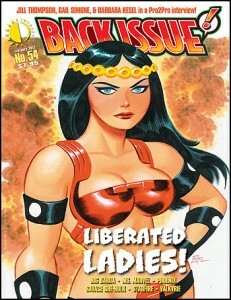 There’s a “Pro2Pro” interview with creators JILL THOMPSON, GAIL SIMONE, and BARBARA KESEL, and art and/or commentary by JOHN BYRNE, GEORGE PEREZ, JACK KIRBY, MIKE VOSBURG, and more, with a bombastic Big Barda cover by BRUCE TIMM! A free preview is HERE. And you can pre-order HERE. 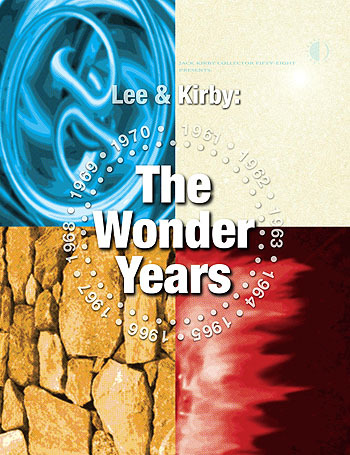 On Dec. 28 (holiday shipping crunch willing), we’ll be releasing LEE & KIRBY: THE WONDER YEARS. It’s really the 58th issue of my mag, The Jack Kirby Collector, but done as a 160-page squarebound edition this one time. The whole book is written by Mark Alexander, a longtime TJKC contributor and friend, who died last June, just weeks after handing in the final manuscript to me. I hate that he didn’t get to see the final product in printed form, because I know how hard he worked on it. Heck, I know how hard I worked on the layout for it, trying to capture a lot of what Mark and I discussed for the end product. It’s a book I’m extremely proud of, and I think Mark would be as well. It’s at the printer now, and since this is the 50th anniversary of the Fantastic Four’s debut, I wanted to make sure it was out before 2011 drew to a close. It should just make it under the wire. The usual: a free PDF preview is HERE. And you can order HERE. Regular Kirby Collector subscribers get it as part of their subscription, but it counts as two issues due to its double-size. Please give it a look. Mark and I both thought it was an exceptional publication, and I hope you’ll agree. This entry was posted in TNT on 15 December 2011 by Mr. Morrow. The sale ends DECEMBER 19! CLICK HERE TO ORDER! Quantities at this price are limited. Orders must be placed online at www.twomorrows.com to receive this sale price. Depending on the volume of orders, some items may temporarily run out of stock before Christmas, and have to be shipped in early January. We will notify you by e-mail if an item will be delayed. 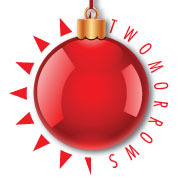 TwoMorrows Publishing will be closed from December 20-January 6, and any items ordered during that time will ship the week of January 9. HAPPY NEW YEAR! This entry was posted in TNT on 13 December 2011 by Mr. Morrow. 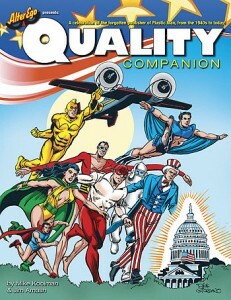 After months of exhaustive research and planning, today the QUALITY COMPANION book was released. It’s a 288-page in-depth look (thick as a phone book!) 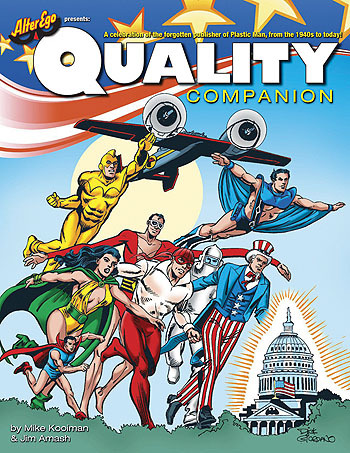 at the forgotten publisher of Plastic Man and all those other classic heroes that DC Comics acquired from Quality Comics to become the Freedom Fighters. It contains 64 full-color pages of reprints of classic stories by Lou Fine, Will Eisner, Reed Crandall, and others, plus tons of behind-the-scenes info on one of the top publishers of the 1940s (and it’s written by Mike Kooiman and Alter Ego’s Jim Amash, so you know it’s awesome!). You can download a free preview here. This entry was posted in TNT on 9 December 2011 by Mr. Morrow.